Australia's Most Awarded Mercedes-Benz Retailer proudly presents this incredible Certified low kilometre Mercedes-AMG GLE63S Coup featuring Fully-Factory-Backed Warranty right through to July 2022! 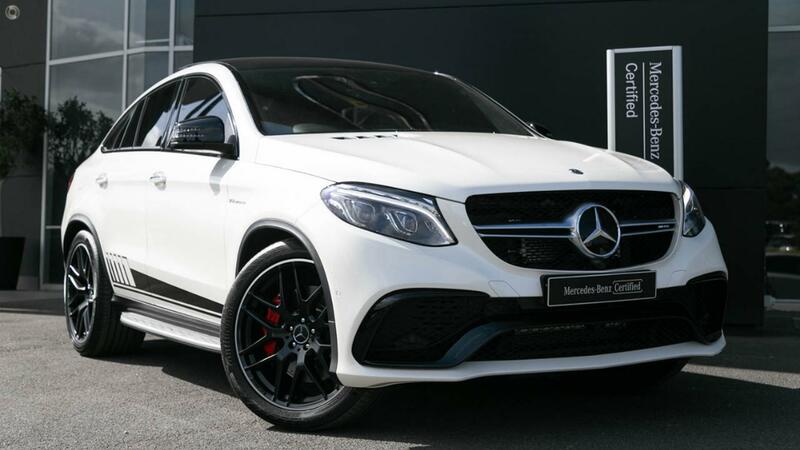 Available for immediate delivery in highly desirable designo Diamond White Bright Metallic with Black Pearl AMG-S Exclusive Nappa Leather and riding on gorgeous "Night Package" 22" AMG Light-Alloy Wheels in Matte Black. With the incredible 5.5 litre Bi-Turbo 430kW/760 Nm V-8 providing the motivation, 4MATIC all-wheel-drive providing the traction, and the maestros at Mercedes-AMG providing the scintillating soundtrack, take the wheel of your magnificent GLE63S Coup with absolute confidence - ONLY from a Certified Mercedes-AMG expert and the reigning "Mercedes-Benz Metropolitan Retailer of the Year" again, for the 5th time in 6 years! - TV tuner - Digital - both MPEG 2 and MPEG 4 broadcasts. - Steering column electrically adjustable for height and reach. - Side steps in brushed aluminium with rubber studs. - Fuel tank with 93 l capacity.